Add a sophisticated touch to your home with this Main Street Collection. 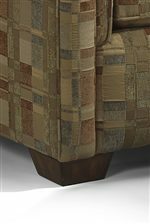 This accent furniture collection comes in a variety of fabrics, enabling you to customize your home to create the perfect style. 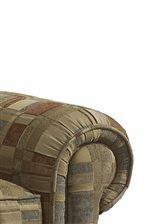 The curved edges and rounded corners gives the furniture a traditional style. This collection is so versatile that it would look great in any bedroom, living room, office or den. These pieces come standard with luxury cushion and are available with plush cushion and high resiliency. Browse other items in the Main Street collection from Godby Home Furnishings in the Noblesville, Carmel, Avon, Indianapolis, Indiana area.